What do you know about the importance of our bee population in our everyday lives? We often think they invade our homes and provide us with delicious honey. But there is more the bee can affect with the decline of their populations due to the growing use of pesticides for our crops. It’s time to save the bees and help keep them around to provide for our needs, other than for honey. We must become their friends to improve their population decrease to where it needs to be so we aren’t losing a provider of our daily food. We never consider the role bees play in the growth of all of our fruits and vegetables. They are the primary pollinators of many of our crops and plants to provide for us. There was a collapse in 44 percent of bee colonies in 2016, and more than two-thirds of our world’s crops depend on pollinators like bees. Imagine what we would do if the food we enjoy suddenly disappears due to the decline of the bees. It’s time to take action and show the bee population we are ready to keep them around and help them. The fight to prevent the decline in the bee population can happen in the comfort of your home. Saving the bees is also a great way to involve the whole family, so it is a learning experience and continues the regrowth of the bees throughout future generations. While we often think to take action when we see bees, it is okay to try and entice them with plants to give them pollen. Honey Nut Cheerios is offering free seeds for you to plant in your garden inside of their cereal boxes. You have to plant them in your garden and help the bees get their pollen and continue to grow. Did you know you can build a shelter for bees out of a piece of a log? Bee boxes are great for solitary bees to have a little home in your garden. Grab a piece of reclaimed wood or any lumber you have laying around and drill small holes in it for the bees to check in for a stay. How do you save the bees outside of DIY home projects? There are so many different ways to put in the help for the bee population. With home projects and doing your part, the bee population will have tremendous gratitude for you helping them. The use of deadly pesticides in our crops is a primary reason of the decline of bees. When you are growing in your home garden, steer clear of the use of harmful and poisonous insecticide and look for natural alternatives. This small step helps decrease so many harmful chemicals from affecting the bees. Organic fruits and vegetables get their natural qualifications due to the lack of pesticides in the growing process. It is crucial to purchase more organic and local food to help save the bees and lower consumption of vegetables and fruits filled with pesticide. 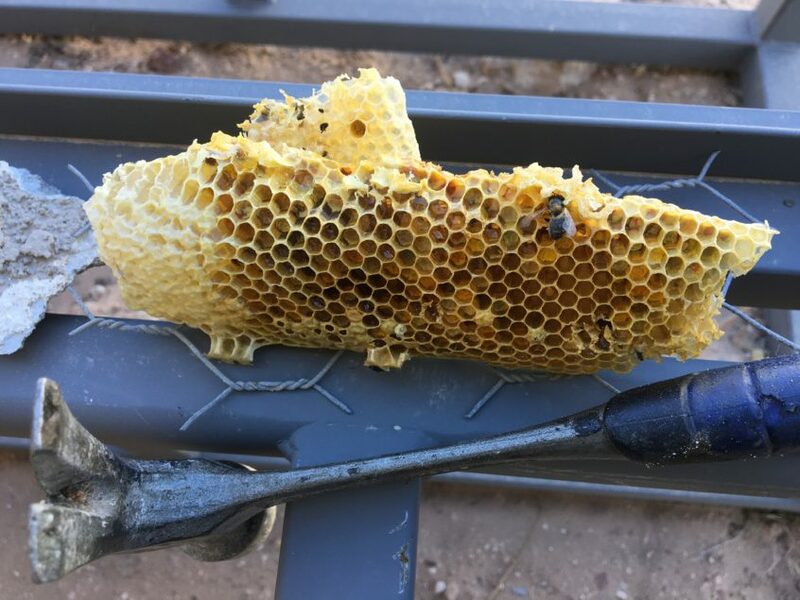 There is only one bee removal service to use and its Bee Masters, as we do ethical bee relocation in Las Vegas to local beekeepers. This process helps to not disrupt the bee population when we remove them from a home. Contact us today for quality bee removal!